Use Css editor to create your own css conditions and customize your SharePoint Form appearance. When you have finished editing your CSS, be sure to save changes. You can customize line spacing to define vertical distance between elements in your form. 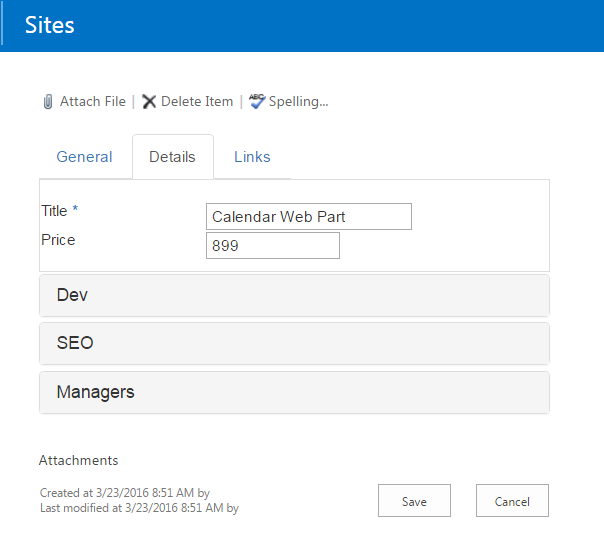 Checkbox “Hide ribbon” allows you to remove default SharePoint ribbon from a SharePoint site with designed form. Checkbox “Show toolbar” to display default SharePoint managing settings above your form. 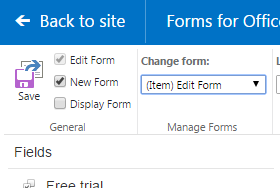 Standard Edit form in SharePoint Forms for Office 365. 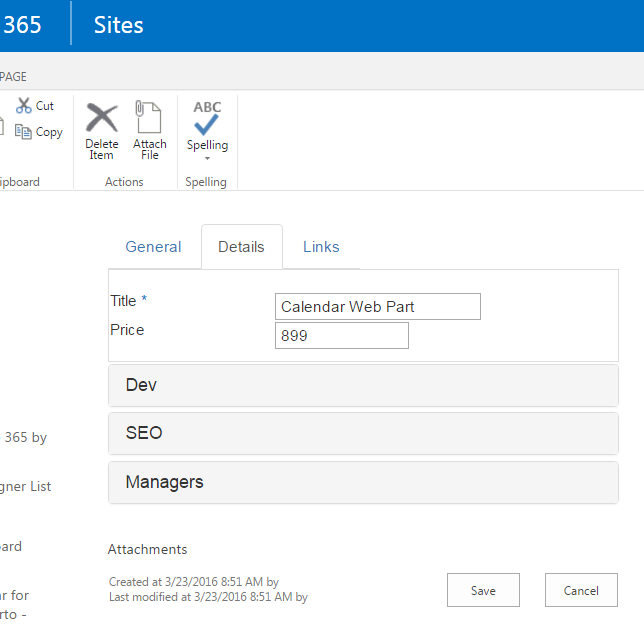 Edit form in SharePoint Forms for Office 365 with toolbar and hidden ribbon. 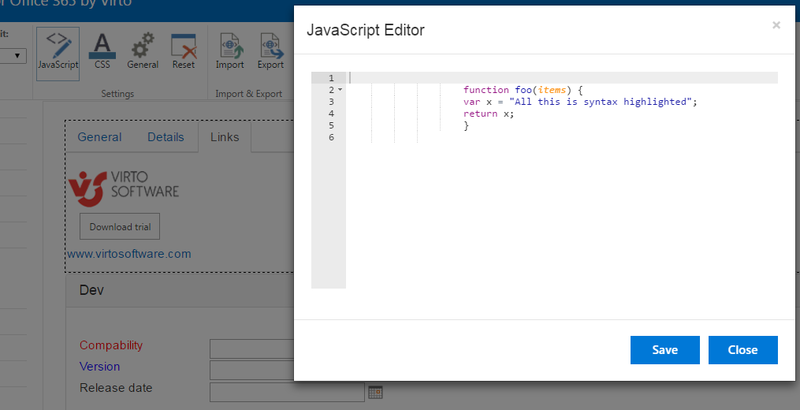 Reset button allows you to remove all controls from a current form view. Click “Save” to save settings and finish adjustment of a chosen form. Then go back to the SharePoint page with chosen list. New form will appear in all designed item views of chosen list.